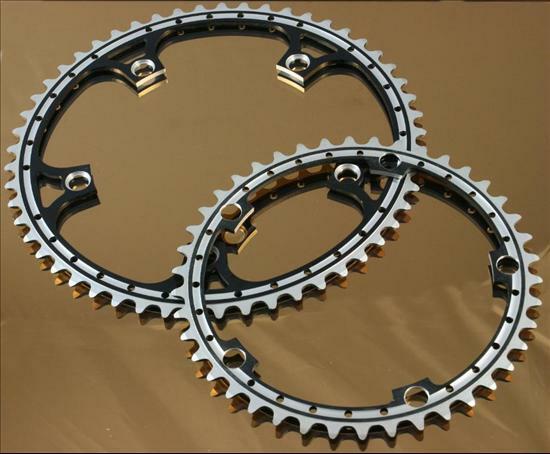 Avional drilled, grooved & anodized chainrings by Cambio Rino. Black, gold, red, blue, green anodized. The machinig was done after anodizing, so the teeth, grooves and drilled holes show bare aluminium. 42t -> 35 grams / 52t -> 75 grams / 53t -> 80 grams.